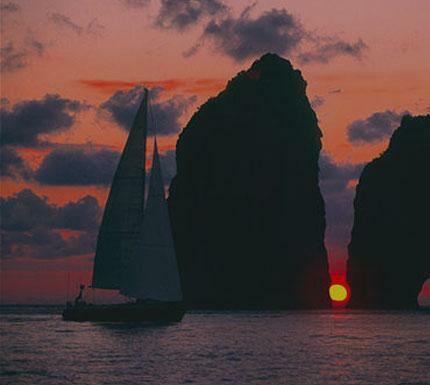 A two-day boat trip exploring the islands of the Gulf of Naples, the Amalfi Coast, or the impressive rock formation of the Pontine Archipelago. A specific itinerary can be decided upon on departure. -Price include: skipper, moorings in our base, tender, outbaord, fishing and snorkeling equipment, brief sail course, bed-linen, blankets, fuel and final cleaning. – Price do not include: food and moorings in other harbours.